Bill Thompson has been up to 2010 in the front line of brand protection in China and Asia more than anybody else. In 25 years he lead 20,000 investigations into infringements of intellectual property for more than 1,700 brand owners, resulting in 11,000 successful enforcement actions and 1,500 criminal prosecutions. He attended a part of the 9,000 raids he supervised in China, combining with a great talent as story teller. His hands-on experience allows him to give color to the struggle for intellectual property rights in China that are mostly stuck on a legal or political level. Thompson has dealt with law enforcements agencies and the interest of local authorities, who often have different interest than the central government in Beijing, making law enforcement a tiresome and often marginal activity. 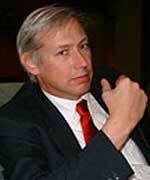 Bill Thompson is from New York and from 1984 through 2003 worked for Pinkerton Asia. At various times he headed that company’s businesses in Taiwan, Korea, Japan, China, and Hong Kong. For 11 years during Taiwan’s battle against intellectual property infringement, he was General Manager of Pinkerton Taiwan, and from 1998 as Senior Managing Director-China, he grew the company’s China business into the PRC’s leading provider of IP investigation and enforcement services with 110 staff operating from offices in Guangzhou, Shanghai and Beijing. In July 2004, Thompson established Thompson Market Services Ltd. (TMS), incorporated in China as a Shanghai WOFE with a Guangzhou branch, and as a limited company in Hong Kong. He retired from active duties in 2010.